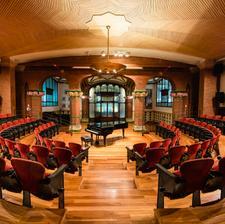 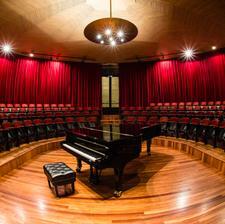 The last venue is the little gem of the Palau de la Música, the Sala d'Assaig de l'Orfeó Català, the Orfeó Català Rehearsal Room. 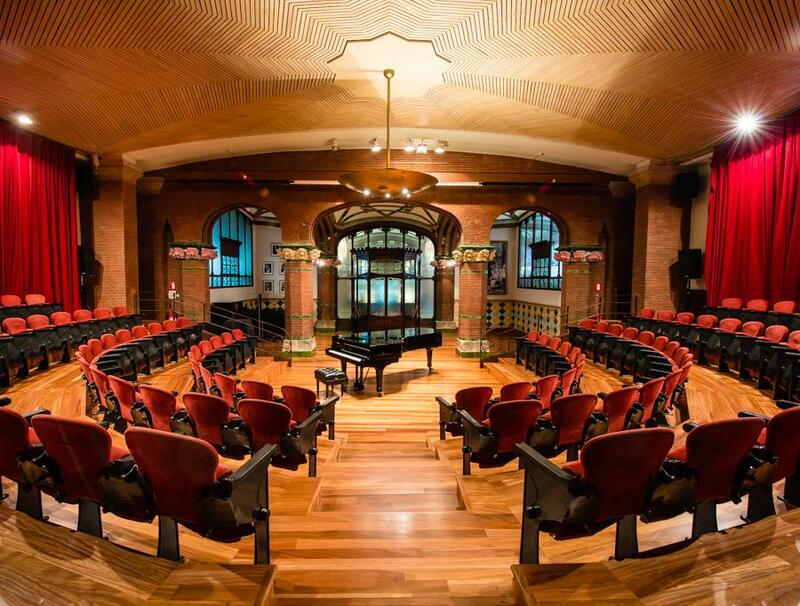 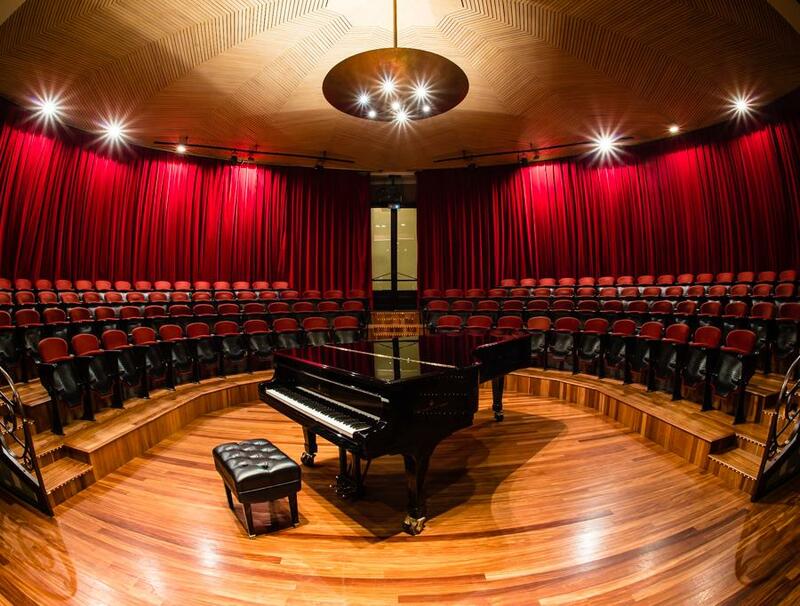 A cosy, intimate venue for small-format concerts, talks, presentations - and, of course, where the Orfeó Català choirs practise. 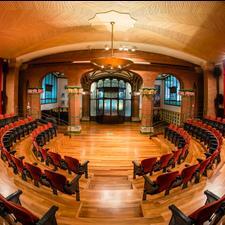 The first stone of the Palau, laid in 1905, is here. 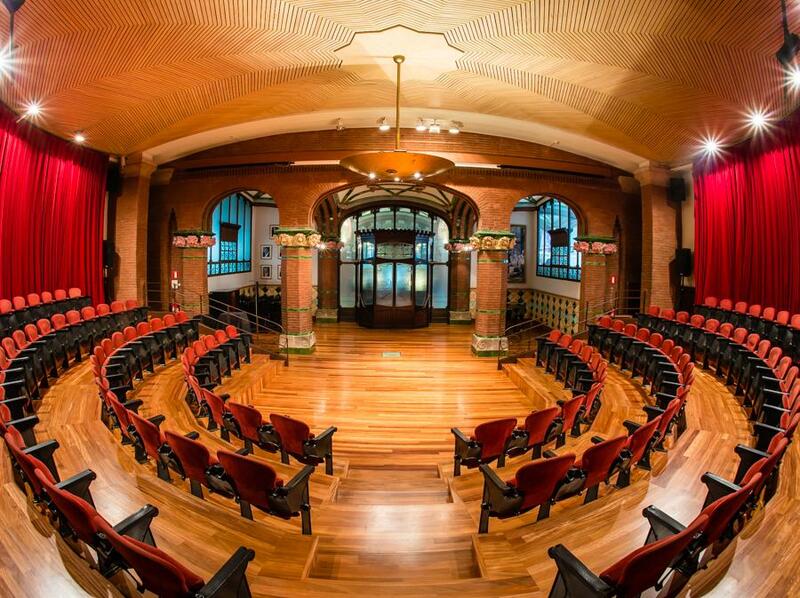 With its semi-circular arc of seats facing the half moon arch on the ceiling over the Concert hall stage, it features robust columns, stained glass and a typical decoration of Catalan modernism.